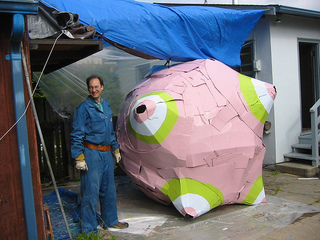 Do you remember hearing that some people were going to create a giant katamari and roll it in the San Francisco Bay to Breakers race? Well, they did it! Here is Boing Boing coverage, a flickr set, some livejournal info, and a movie!